Shop at Home has a WILD deal for today only or while supplies last. 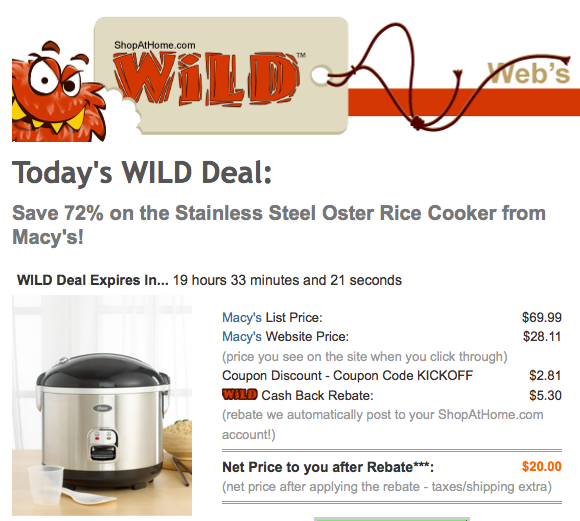 The is for a Stainless STeel Oster Rice Cooker from Macys. The are on sale for $28.11 (org $69.99). Plus you get 10% off using coupon code: KICKOFF and $5.30 cash back. Your final cost is $20 after coupon code and cash back. Shipping is $8.